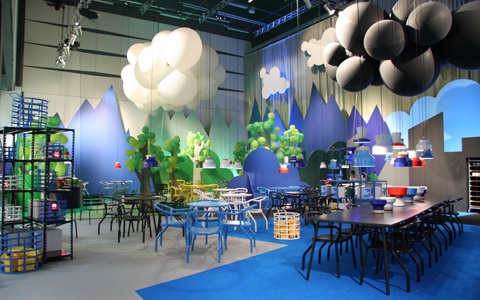 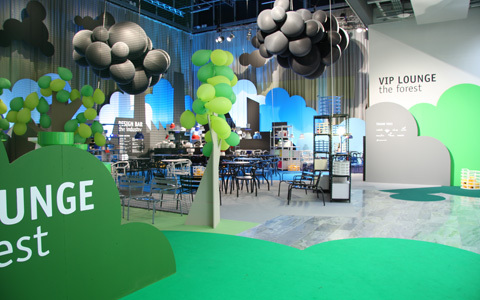 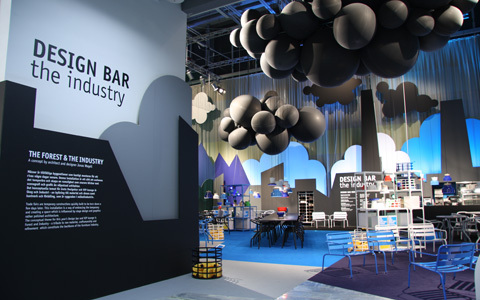 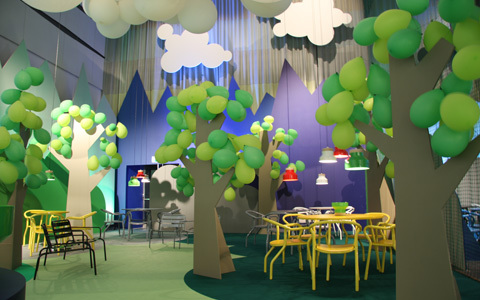 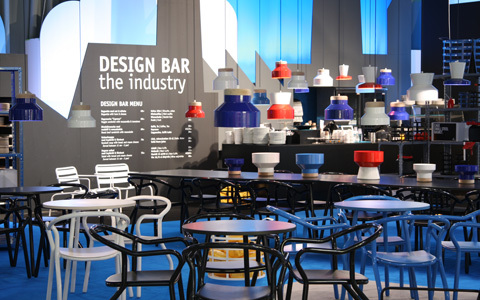 Swedish architect and designer Jonas Wagell projected the Design Bar and VIP Lounge at the Stockholm Furniture Fair. 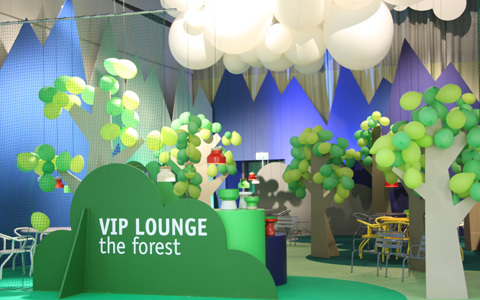 The conceptual theme for the Design Bar and VIP Lounge was the forest and the industry, a tribute to raw material, craftsmanship and refinement, which constitute the backbone of the furniture industry. 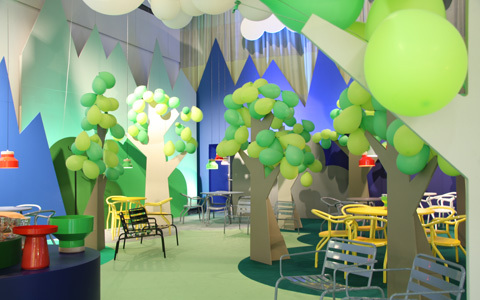 Located next to the public industry is the restricted VIP Lounge forest created with identical materials and furniture, but with radically different atmosphere and spatial character. 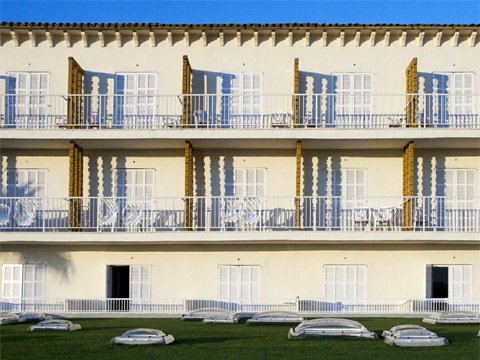 Same, but different. 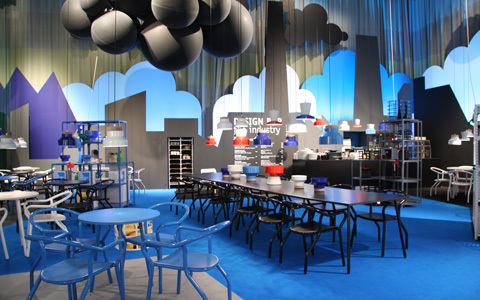 Both spaces are meant to be a meeting and resting place, to simultaneously inspire, evoke emotions and surprise.